Let’s visit Thanksgiving. 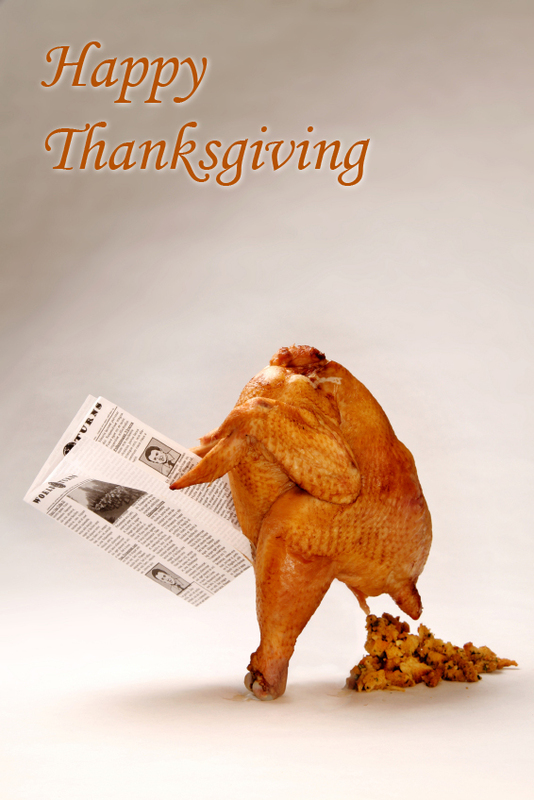 The eating and football holiday. The holiday where in your adult life you do not sit and reflect on thing to be thankful for because nobody is making you write an essay thinking of it any longer. To me, the holiday means one entire day spent with family beginning with the Macy*s Parade followed by trying to get the women in the generation above me to allow me to help with the food. I always get stuck with the rolls, however. I ask what I can donate to the meal, and I get the rolls. I want the pie. I don’t have the feast at my home, so I cannot realistically contribute the hot food. Let me have the pie for pete’s sake. You’re just gonna go down to the Bakery and buy some out of the display case anyhow. I can make you a lovely homemade pumkin pie with crust from scratch and everything. GIVE ME THE PIE!!! Quick Note: I DID get assigned pies this year, and my out-of-town visiting mother found out this incredible news. After which she ran over to the grocery store and BOUGHT THREE PIES!!! It’s like I am Charlie Brown and creating masterful pies is the foot ball and that B**** Lucy keeps taking the pies while I stumble to the ground. Ahem. After the meal we take a walk. It is very important to burn off 98 calories from the dinner before attacking the dessert. Yes, let’s pretend that’s a huge dent in the 1736 calories we consumed in turkey, stuffing and egg nog. So, it’s parade, dinner, pie and then we search for a movie to attend at the local multi-plex, just like the pilgrims did nearly four centuries earlier. It is a sight to have twenty-three of your kin occupy an entire row, usally the front row because they argued about what to see or where to go for too long and arrived late. The movie ends, the day is over, but it does not end quite yet. Because there are always out of town visitors, there’s wine and talking and board games and shuffling little kids off to bed. Finally, seventy-four people fall asleep all over your five hundred square foot apartment. The greatest holiday of the year has ended, but there is not a let-down as there can be with Christmas. Why? Because Thanksgiving is the kick-off. It’s the welcome wagon for the next month of festive events. This entry was posted in Blogroll, family, food, happiness, health, home, how to, kids, Life, travel and tagged family, Lack of good pie, More Pie, movies, Pie, Thanksgiving, Turkey. Bookmark the permalink. 4 Responses to Cranberry Sauce etc. Heya, you can at least count on me to not have Thanksgiving plans…except to, well, sleep through them because of timezones. Just got home, but I slept at Grandma’s house for quite awhile, so I’m not tired. Apparently two double vodka crans and a tom and jerry between 10:30 and noon leads to blindly eating a bunch of food and crashing in front of the fireplace. Who knew? That is so sad about the pies!!! Guise- You have at least seen A Charlie Brown Thanksgiving, right? Amy- That sounds like the greatest way to spend a day.